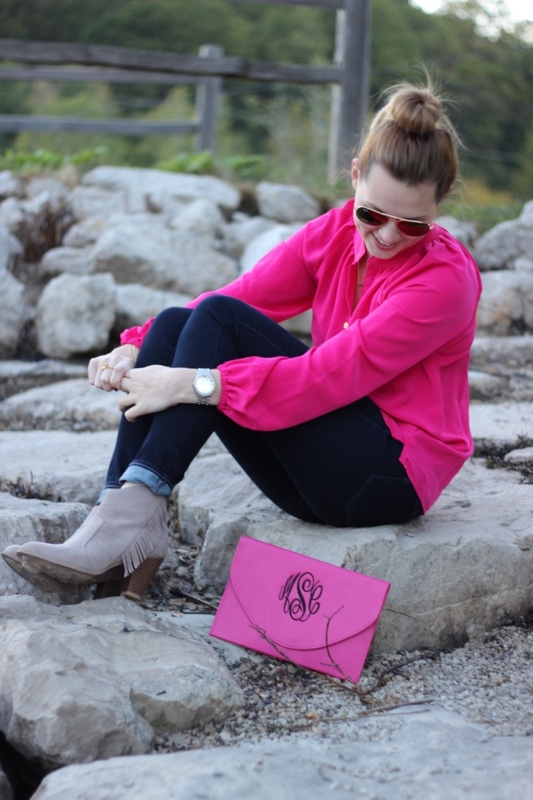 It maybe fall but I am still going to wear pink here or there. 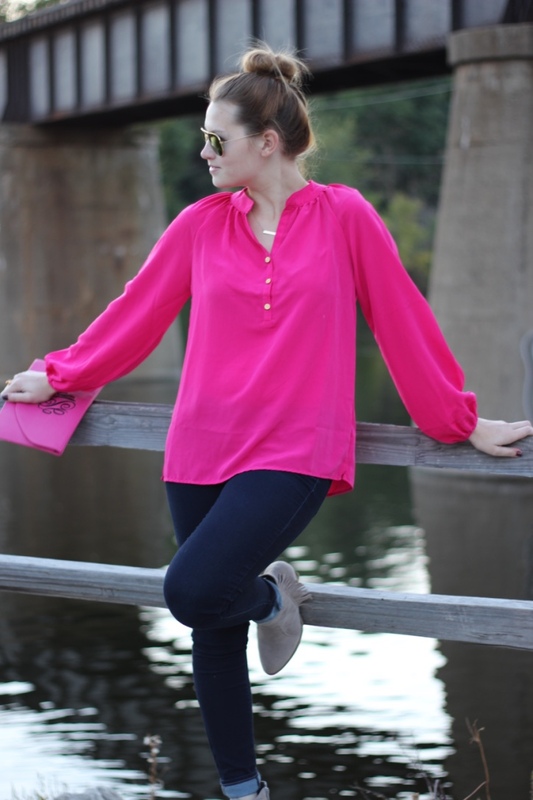 This top is from All For Color, the company I am currently doing a giveaway with. So if this shirt is something you love, by entering you have a chance to win a $250 gift card or a $50 gift card. 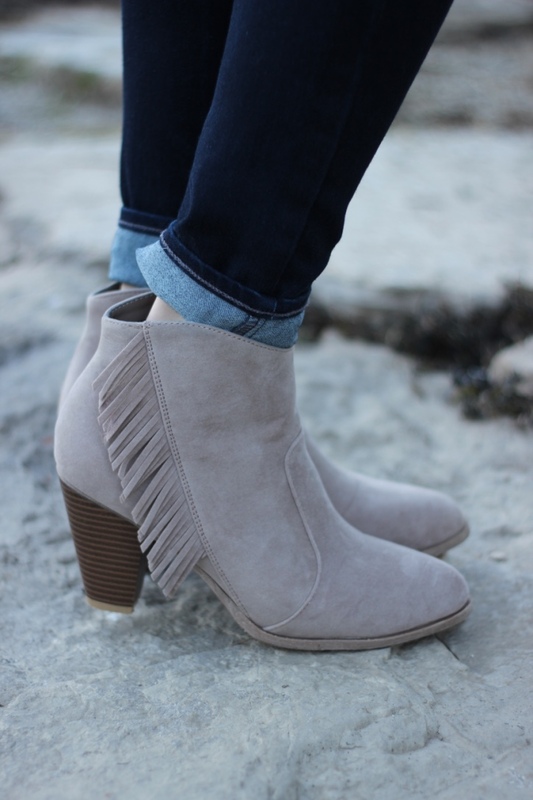 Also these booties have gotten so much wear, it seems like they have been in every blog post lately. It's actually surprising because when I first got them I was like, these are cute but I'll probably wear them once. Nope, I wear them about every other day, I had to order them in black so that I could mix things up, haha! Hope everyone is having a wonderful Friday! Cute look. 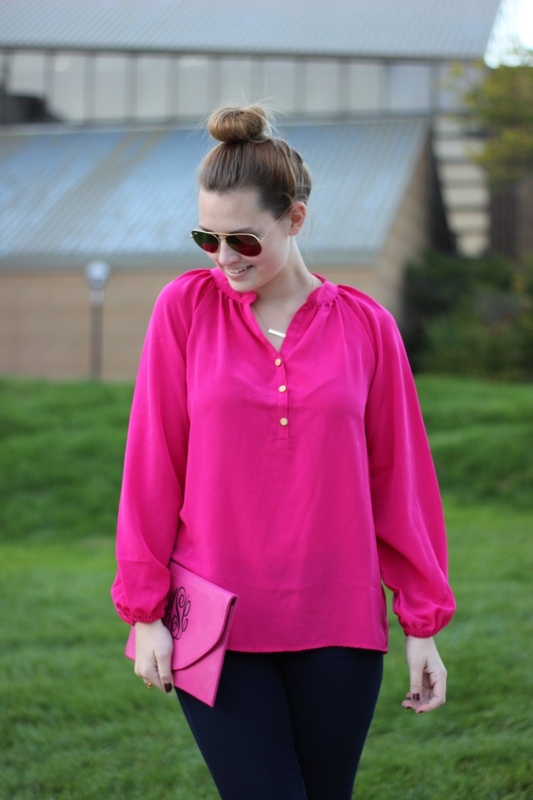 I love the color of your blouse! !